We're going to sit down, I'm going to look into your eyes, and we're going to find the truth inside of you. We're going to do what it takes so you feel deep peace with it. We're going to find your words so that it sings with the elegance, kindness, and fierceness of an anthem. You are going to feel the embrace of acceptance, smell the scent of self-respect, and the taste of liberation. You are going to be heard. In me, you'll get intuition, unconventional wisdom, mischief, sacred space to be you, and new ways of honoring who you are. Then I'll probably fall in love with you, like your trusted big sister, your cool aunt, or the medicine woman who lives at the edge of the woods. Welcome. Learn, work with me, or come away with me. Either way, welcome! Let's grab some tea, hot chocolate, and deep, nourishing conversation under the night sky! Until then, let me send you my little book, Truth, Depth, and Beauty. I'll also send occasional updates about the going-ons of my work and other things that might be helpful to you. Or... you can play "Two Truths and a Dare" with me! You'll still get the book and the updates, but you'll also get to participate in my free year-long offering, a nearly-weekly riff on the slumber-party classic. You can learn more about "Two Truths and a Dare", here. Either way, sign up below and we'll connect. You can unsubscribe should you so desire, but it's my hope you find something rich, nourishing, insightful and fun. You need deep, wise, compassionate, non-fluff support, coaching and guidance. You want to put something behind you, be done with it, and to move on, NOW. ARE YOU WRESTLING WITH YOUR OWN 'MAYBE BABY' QUESTION? Maybe Baby will help you discover your truth around motherhood and children and whether that’s a journey that will become part of your story, and to make peace with your answer whatever that is. 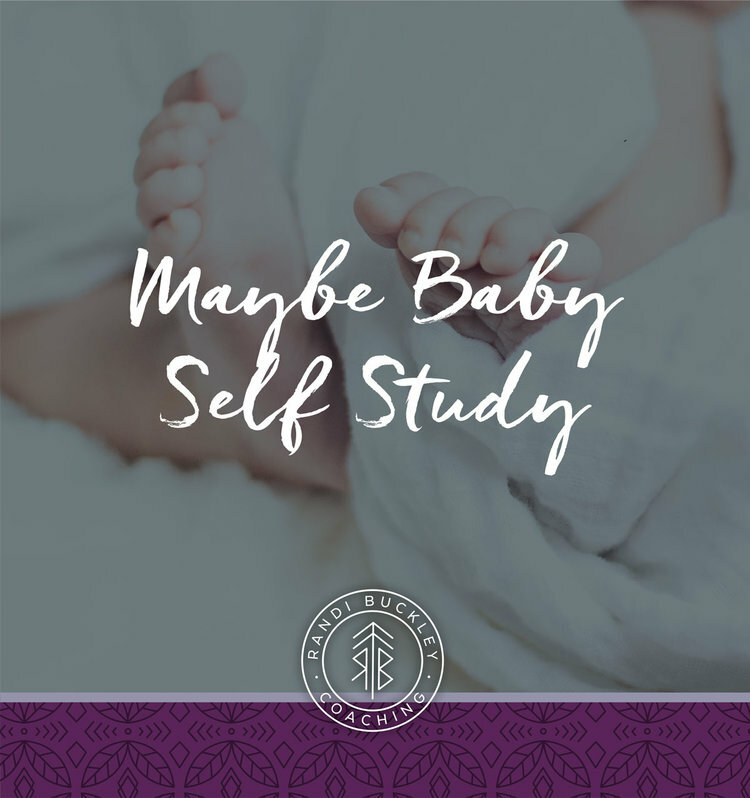 If this sounds like the whisper you’ve been hearing in your heart, I’d love to help you to find your answer to the Maybe Baby question.